The croaker belongs to the drum family. It gets its name from the unique croaking sound it makes. The most important croaker species is the Atlantic croaker. The croaker first became a food fish in the 1960’s. Although spiking at nearly 6.300 metric tons of production in the early 1980’s, current production has decreased to 2,300 metric tons annually. Food features:The fish is relatively small and reaches weights of from 0.5 to 1 kg (1-2 lbs). Nutrition:This food is a good source of Vitamin B12, and a very good source of Protein and Selenium. Dietotherapy function:Croakers should not be eaten raw as they are prone to infection by trematode parasites, some of which are harmful if ingested by humans. 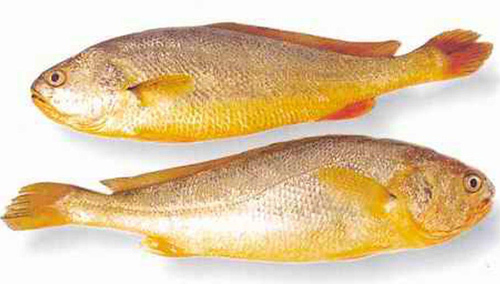 The parasites can be killed by cooking the croaker meat to at least 60 degrees Celsius (140 degrees Fahrenheit).